Mrs. Barton Woods is a nationally recognized arts educator. As a professional student, Mrs. Barton Woods trained with both the Royal Winnipeg Ballet, Canada, and the International Ballet of London, England. She continues her personal education through annual studies with examiners from the Royal Academy of Dance, London England, and frequently attends courses at the the Banff School of Fine Arts. 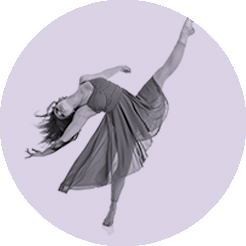 As founder and former director of the University School of Dance of the University of Saskatchewan, Mrs. Barton Woods brings with her a wealth of teaching experience. A fully registered R.A.D. Instructor, she has trained and entered students in annual Royal Academy of Dance ballet examinations, primary to advanced levels. She has taught both the dance student, as well as the dance instructor. She applied Laban Theory to initiate the first children’s creative dance programme in Saskatchewan, and subsequently became a specialist in creative dance for children. A sessional instructor position with the Faculty of Fine Arts at University of Calgary provided her the opportunity to teach an inter-disciplinary course (drama, dance, music, and visual arts). We are honored to have two of our ballet instructors, mentoring under Mrs. Sonja Barton Woods. Executive Director and Director of Research ENCORE! ENCORE! The Canadian Dance Museum. Founder/Director of the University School of Ballet and Creative Dance, University of Saskatchewan, Saskatoon, Saskatchewan. Director of Programme of Dance, Saskatchewan Summer School of the Arts. Member of the National Board of Directors, Dance in Canada Association.